I’ve been getting quite a lot of reading done recently so I’m just doing this quick post about two of them, as reminders for myself really. A Medal for Murder is the second book in Frances Brody’s Kate Shackleton series. Kate is still in denial about her husband’s death in the First World War and she’s still hoping to find him somewhere, lying damaged in a hospital perhaps. Meantime she’s working as a private investigator and in this case she’s been asked by the owner of a pawn shop to help track down whoever has broken into his premises and stolen items which clients had pawned, expecting to redeem them when they could afford to do so. His whole business is at stake as nobody will use a pawnbroker if they think they won’t be able to get their goods returned to them. It’s set in Yorkshire’s Harrogate in the early 1920s and involves murder as well as theft and it’s no time before Kate Shackleton is in the thick of it. There are plenty of twists and turns but I think that these books improve as the series progresses. Flowers for Mrs Harris by Paul Gallico was first published in 1958 and in the US it was called Mrs ‘Arris Goes to Paris. Mrs Harris is a London char lady (cleaner) who is a widow in her 60s. She finds that she needs to supplement her widow’s pension so she cleans the houses of various wealthy people, she’s fussy about who she cleans for, she has to like them and her clients feel lucky that she has deigned to take them on. In this book Mrs Harris catches sight of some Christian Dior dresses belonging to Lady Dant and she immediately falls in love with them and feels that she must have one of her own. The only problem is that it costs around £450 for a Dior frock, a huge sum of money, but Mrs Harris feels that it’s her destiny to own a Dior frock. After trials and tribulations she does get to Paris and there she wows the whole staff of Dior, including the boss. This is a feel good book in which you have to suspend your disbelief as the character of Mrs Harris charms absolutely everyone she comes into contact with and she makes good things happen for them although things don’t always go well for Mrs Harris herself. 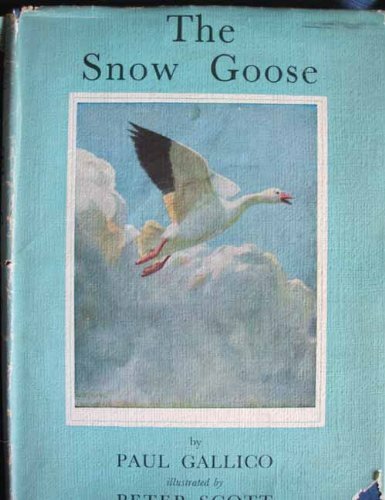 I read The Snow Goose by Paul Gallico way back in the year dot, I really enjoyed it but then never got around to reading any more by him for some reason. Anyway, when I was in Aberdeen not long ago Mrs Harris goes to New York was one of my charity shop purchases. It’s an old book from 1960 and at some point over the years the title has been changed to Mrs ‘Arris goes to New York for some reason. There’s a series of four Mrs Harris books and I hope they’re all as amusing as this one was, daft but entertaining. Mrs Ada Harris is a cheerful, courageous cockney charwoman. She has the ability to get on with just about everyone, no matter how high or low born they are. However she cannot get on with her next door neighbours, the Gussets, for one thing they have informally adopted a small boy called Henry whose mother placed him with them when she went off with another man, they heard no more from her and no money was forthcoming from her to feed and clothe Henry. Her American husband had been a GI and she had refused to go to America with him and contact with him had been lost over the years. The Gussets have a large family of their own and poor Henry is bullied, beaten and starved by them all. Mrs Harris can’t stand listening to him getting thumped any more so she determines to go to America and track down his father who goes by the name of George Brown, so it isn’t going to be an easy task. Ada ‘does’ for a wealthy American couple called Schreiber and when Mr Schreiber is posted back to the US they ask Mrs Harris and her friend Mrs Violet Butterfield to go over to the US and help them settle in to their new home. It’s the perfect opportunity for Ada and Violet and they manage to smuggle Henry on to the ship bound for New York with them. It’s only when she is told about having to go through very strict security to get to New York that she realises what a difficult spot she is in. She’s in fear of being dragged off to Ellis Island with young Henry and deported before she even has a chance to look for George Brown. Over the years a lot of people have been quite sniffy about Paul Gallico’s writing, it may not be high literature but it is highly entertaining, and sometimes that’s just what you need. Especially if you’ve been stuck in the house for days on end, looking out on grey skies and seemingly endless rain. This one hit the spot so I’ll be looking out for the others in the series. Two of Gallico’s books were made into films – The Snow Goose and The Poseidon Adventure.